The year was 1993 when I lost my common sense and sold my classic American Camaro in favour of an ex British Army series 3 109FFR Land Rover. Not being sure how my partner may react to a small truck instead of a sports car, I was pleasantly surprised when she said she liked it! From then on I was hooked on green things and set about joining the Military Vehicle Trust, through which I was to meet Simon (our crew chief), Nina & Bradley. Not content with getting all the bits to restore the Land Rover to original spec, I also wanted the kit that would likely be found with such a vehicle. The military vehicle shows were to provide enlightenment as to what was available and it was at these events that I began collecting not just vehicle parts, but kit and uniforms. I always preferred to take pictures of vehicles with drivers and crew in authentic dress and it was this preference that made me do likewise. Judith also became more interested in the uniforms & equipment, so between us, we had a lot of fun rummaging through army surplus! At the shows, one vehicle in particular caught my eye and ears, a U.S. Army M35A1 2 1/2 ton cargo truck, weighing in at just under 7 ton - it got me thinking! 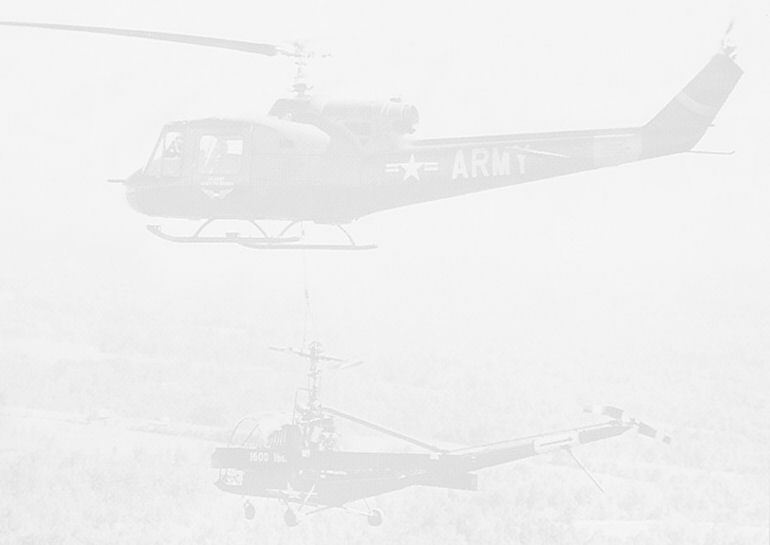 Entering service during the Vietnam war, they were the work horses that carried anything and everything. My interest in the Vietnam war had begun and of course buying a 6 wheeler truck was crazy but I could collect personal equipment and uniforms, which I did. A few of my friends were also interested in this period of history and between us the collection grew. The temptation to acquire an M35 grew too strong to resist and, sure enough, it wasn't long before I found myself at the wheel of one, driving to shows with not only the right uniform and equipment but also two 30' long troop tents in the back. I always remember a friend of my mother complaining about her son arriving home on a motorbike he had just bought, to which my mother replied, "Huh! That's nothing - you wanna see what my lad’s come home with!" I joined a re-enactment group which held private events and eventually introduced them to the show circuit. The Vietnam war was just not portrayed at the shows; indeed it was not something to do. I found this attitude surprising but took it as a challenge and attempted in a small way to change people’s perceptions. There were very few living history groups around at that time and the Vietnam scene was down to two groups, one of which was ours. After a while I left the group and paid more attention to the show circuit but very quickly many friends joined me at the shows. It made sense to start our own club and so the Vietnam Living History Group was formed. Between us we set up camps containing 4 squad tents, numerous other smaller tentage, three trucks, three jeeps, mechanical mule and an M37 pickup truck - it being the last to join. Representing various branches of service in the U.S. Army as well as small sub displays depicting Viet Cong and indigenous Vietnamese, who would often use open fires to cook Vietnamese cuisine etc. The emphasis was on the 1st logistics and truck drivers but MASH units were often portrayed. A move of house in 2000 and tightening of finances meant I had to part with my truck and jeep, my old Series 3 Land Rover having been replaced by a 110 Defender which kept me going on the show circuit. My friends also had similar issues and they too had to let their vehicles go. Members came and went over the years, some ex forces and others leaving to join the forces, indeed one of them ended up in Iraq and was amongst the first contingent to enter Basra. Our group was getting smaller when I met a fellow Vietnam collector who had a passionate interest in the 2nd 327th Infantry Regiment 101st Airborne Division. He joined us and of course it seemed only fair that we portrayed this unit for one of the shows. Digging bunkers, sandbagged walls and gun positions was certainly different to messing with trucks but fascinating nonetheless, so it was decided to continue our portrayal of this unit. A couple of years later Simon asked if I would attend a small gathering at Lytham Hall with Huey 509 and get some other folks with period vehicles involved. I'll never forget the sight and sound of Huey 509 flying in whilst wearing the infantryman kit, a sound that all the veterans tell you about, the whirlwind as they landed and the smell. To be in my boots at that time was very special, sharing a glance with my friend Sandy who had been with me from the start, together we were witnessing a scene from the past that we never thought possible. Judith, now keen to learn more about the women’s role in the war, was witnessing something for real that she had only seen in movies and documentaries, the dramatic icon of the Vietnam War was landing in front of us. I just wish we still had all the vehicles we used to have, my introduction to Phil and the crew came just a bit too late! Myself and the group are more than happy to help out at displays with Huey 509 and the Loach and try in a small way to add that little bit extra by telling the story of the men who flew out to their destiny aboard these mighty aircraft; if ever there was a case of man and machine becoming one then this is it. And so our group continues although we are not so much a group as a very close bunch of friends. In touch with a number of Vietnam Veterans and developing closer ties to them, we continue to keep their story alive and in recognition of that, we were presented with the Honorary Member of Regiment Award in Bastogne, Belgium on 14 December 2013 by serving members of the 2nd 327th Infantry Division. For a hobby I have had one heck of a ride so far! Own a Vietnam era truck...Check! Be on the ground dressed in full kit as a Huey lands in front of me! ...Check! In full kit take on the role of door gunner in a Huey...Check! Fly to Kent in a Huey from Lancashire...Check!